Over the weekend I did a podcast for Patrick Ward and Keat’s Snidemans Reality Based Fitness site and one of the topics came up had to do with flexible dieting and the full diet break. This is something that I wrote about in both A Guide to Flexible Dieting and The Rapid Fat Loss Handbook but it occurred to me that there really wasn’t any information about it on the main site. So that’s the topic of today’s article:: The Full Diet Break. What it is and why and how (to a limited degree), to do it. What is a Full Diet Break? Whenever I bring up this topic, I tend to get sort of confused looks from people; what do you mean I’m supposed to take a break from my diet? As I opined on the podcast, I have no idea if this is just an idea endemic to America (where we suffer from a long-history of a Puritan work ethic) or is just common to dieters but most people who are trying to lose weight or fat seem to feel that the key to success is to be as miserable as possible for as long as possible. While this certainly isn’t the only reason diets fail, I don’t think it helps. This was actually a big part of the reason that I originally wrote A Guide to Flexible Dieting as there is a good bit of research (comparing rigid and flexible dieters) showing that people who are more flexible in their eating patterns are more successful in the long-term, showing less binge eating habits and weighing less. 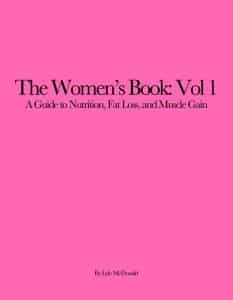 And while that idea might seem contradictory given the other book I mentioned The Rapid Fat Loss Handbook, I’d only note that that book incorporates many of the flexible dieting principles anyhow. But I’m getting off topic. The idea of a full diet break, in short, is that it’s a period, typically 10-14 days where explicit dieting is stopped. Calories should be raised to roughly maintenance (I often recommend adjusting estimated maintenance down by about 10% to account for metabolic slowdown and such; here’s How to Estimate Maintenance Caloric Requirements) with carbohydrates in the 100-150 gram/day range as a minimum. I’ll explain some of the rationale behind these recommendations in a second. I’d note that I’m not the first to suggest this idea by any stretch. The first formal suggestion I remember of this came from an early mentor of mine, Dan Duchaine. He routinely recommended 2 week periods at maintenance between periods of active contest dieting for a variety of reasons. I’m sure others did as well. The study was set up to find out why people go off the dieting bandwagon. That is, the researchers wanted to determine what behavioral things happen when people go off of their diet for some period, and why they have trouble going back on. So the subjects were first put on a typical diet meant to cause weight loss. Then the subjects were told to go off the diet for either 2 weeks or 6 weeks so that the researchers could see what happened when people fell off their diet but hard and started regaining weight. Here’s what happened: not only did the subjects not regain very much weight, but they had almost no trouble going right back onto their diet when the 2 (or 6) weeks was over. So the scientists completely and utterly failed to reach their goal of studying what they wanted to study. Basically, they made an almost accidental discovery which raised another set of questions:why didn’t the subjects regain a ton of weight and why did they have little problem returning to their diet? That is, knowing that most people who go off of a diet for even a short period will balloon up, regaining weight rapidly, and fall off their diet, what made this study (or these subjects) different? The basic issue seemed to come down to that of control. To understand this, let’s consider two different situations. First let’s say that you’re the typical rigid dieter hammering away on your perfect diet, no lapses, no mistakes. Suddenly something comes up that is out of your control. A stressful period of life, the aforementioned vacation, whatever. Feeling out of control, you figure your diet is blown and the binge begins. Does this sound familiar at all? But consider what happened in this study, the subjects were told by the researchers to go off their diet; in essence, the break was part of the diet. And they didn’t blow up, didn’t gain a ton of weight, and had no problem going right back onto the diet. I suspect that that was the key difference and why the study failed so miserably: control. Psychologically, feeling like the break is now under your control, or that it’s part of your overall plan, makes it far easier to not feel like the diet is completely blown and get back on the diet when things settle down. Understand what I’m getting at? Tangentially, and this is discussed in the book, while many seem to flexibly diet sort of intuitively, many don’t seem able to do this. For them I recommend what I confusingly call structured flexible dieting. Basically, planning the timing of the strategies described in the book. Basically, it puts the dieter in control of the diet, rather than the diet controlling the dieter. Which is what I think a big part of the study described above was about. So that’s what a full diet break is, the next topic to address is what the purpose is. There are actually a number of good reasons to take a full diet break, both behavioral and physiological. I want to look at both. The physiological stuff is the stuff I talk about all the time here on the site, on the forum and elsewhere. When folks diet and lose weight/fat, the body adjusts metabolic rate downwards. While a majority of this is simply due to weighing less (smaller bodies burn fewer calories), there is also an adaptive component, a greater decrease in metabolic rate than would be predicted due to changes in things like leptin, insulin, thyroid hormones, etc. By moving to roughly maintenance for a couple of weeks, many of those hormones are given time to recover. Thyroid hormones come back up, as does leptin. This is a big part of the reason for the recommendation to raise carbs to 100-150 grams per day as a minimum. Thyroid hormones are distinctly sensitive to carbohydrate intake as are leptin levels (especially in the short-term). Just raising calories but keeping the diet very low carb doesn’t accomplish everything hormonally I want the full diet break to do. This is also the rationale behind the duration, thyroid hormones and the effects that they exert aren’t immediate. It may take 7 days of eating at maintenance for thyroid levels to come back to normal, but you need at least another week to get many of their effects to max out. So in answer to the question “Can I make the break shorter?”, the answer is “No.” I know that everyone wants to GET LEAN NOW but unless you are a contest dieting bodybuilder or figure chick and there’s no real-time constraint, what’s the hurry? There are other effects as well. Hormones like testosterone often go down during dieting and female hormones can be whacked out too. Cortisol generally goes up when you diet and raising calories and carbs helps shut that off for a bit. I’d note in this regards that many find that, after a period of hard dieting, they often keep leaning out into the first week of a planned break. As I discussed in the article Of Whooshes and Squishy Fat, some of it may simply be dropping water. But some of it does seem to be true fat loss. People keep bugging me for the mechanism and my current best-answer is “Magic!”. At some point, I might throw out some of my theories on it. Not today. As well, for leaner individuals, even if they do everything ‘right’, there is often a loss of performance or muscle mass during a diet. The two weeks with raised calories gives them the capacity to train a bit more and recover what they’ve lost before moving into the next stage of dieting. Finally, the idea has been thrown out there that stabilizing at a given (reduced) body weight or body fat might give the body a better chance of accepting that new weight as ‘normal’ and adjusting setpoint. Frankly, I’ve never seen anything to support that in the literature. It’d be lovely but I tend to doubt that’s how it works. I’m just mentioning it for completeness. Of course, there aren’t only physiological reasons for using the full diet break concept, for many dieters (especially heavier, since the adaptation issues tend to be less) the main benefit may be psychological. Frankly, this is something that I feel that many lean diet/obesity experts often can’t really comprehend, the types of psychological stress that dieting can engender for people with a lot of weight to lose. Tangentially, since I’m just in that kind of mood, I see the same thing in a lot of the popular ‘Do body weight metabolic training to lose fat’ manuals. The exercise are always demonstrated by skinny fit people. I want to see some of these coaches have an unfit individual at 300 pounds do a t-push up on 1-arm. But I’m really off-topic now. Anyhow, say that you are someone who is extremely overweight, perhaps you have 50-100 pound of weight to lose (or more). Going by the standard recommendations of 1-2 pounds per week, that means that you are realistically looking at 25-50 weeks of dieting. And let’s face it, no matter what diet you are on, that means some period of feeling hungry, deprived, etc. There’s just no getting around it. For people with more weight to lose, the time frames may even be extended beyond that. Now, I want everyone to stop and think about that for a second, the amount of mental stress that that tends to create from the get-go. Is it any wonder that some people never bother starting? Put differently, if I told you that you had to be miserable and feel deprived and hungry for the next 1-2 years, would you bother? Probably not. But what if, instead of facing that huge mountain, you knew that you only had to go say, 10-12 weeks of dieting before getting a break for 2 weeks where you could eat relatively ‘normally’ (note: this does NOT mean returning to your old horrible eating habits) before starting the next phase of active weight loss? Suddenly, that might seem a whole hell of a lot more doable. And if you’re using the other concepts of free meals (relatively ‘normal’ non-diet meals eaten once or twice a week) and refeeds (periods of deliberate high-carbohydrate overfeeding) during the periods of active dieting, it may be that you’re never having to feel like you’re full-blown dieting for more than 4-5 days before you get a small break. Let me put this in a slightly different context: it would be a rare coach indeed who would expect their athletes to work at 100% 7 days/week, 4 weeks a month, 12 months a year. Athletes have light days, perhaps one day off per week, perhaps every 4th week with reduced loading, they usually take 2 weeks completely off every year. Sure, some of this is to allow physiological adaptation but some of it is psychological; you can’t maintain that intensity every day of your life without burning out. So why should a dieter expect (or be expected) to do exactly that? Anyhow, those are some of the psychological benefits behind the full-diet break. For people with extended periods of dieting ahead of them, in addition to any other benefits, it breaks the periods of active dieting into much more manageable chunks. Instead of expecting these seemingly never-ending periods of extended dieting, there is at least some light at the end of the tunnel. That’s in addition to putting the control of when the breaks happen rather than having the person lose control because the break is forced upon them, they can plan it themselves. On that note, one topic I go into in a bit of detail in A Guide to Flexible Dieting is whether the full break should be planned or unplanned. In that context, one of the more powerful uses of the full diet break is that it can be used in situations (such as the holidays, or vacation) when someone knows that they won’t be able to really stick to their diet. In those sorts of uncontrolled situations, I find that people tend to feel a real sense of loss of control and they can go off their diet never to return. The full diet break can simply be planned around those time periods and suddenly the control has been returned to the dieter. They can do their best damage control knowing that, if anything, the 10-14 day period (or whatever) is finite and won’t do that much damage, returning to their diet when it’s over. So that’s the basics of the full diet break. Of course there is more to it discussed in the book but I’m running long-again. How often to take a break is a big issue and fundamentally depends on the person’s body fat. Contrary to what most think, leaner individuals should take diet breaks MORE often than fatter because the adaptive aspects of dieting are greater. Proving once again that I’m just retreading others who came before me, Dan Duchaine recommended 4 weeks of dieting before 2 weeks of raised calories and then 4 more weeks of dieting as part of a 10 week contest diet. I’m a bit more flexible (get it) than that, a leaner individual might go 4-6 weeks before taking a full diet break, someone who is much fatter might go 12 weeks. Folks in the middle go somewhere in-between. I’d note that I even think that contest dieters should use full diet breaks although this requires not only being lean enough when they start but also giving themselves sufficient time to include the break AND still have time to get lean enough. Most dieters start to late and end up not being able to take a diet break but I believe that their diets would work better if they did. Of course, there’s more information than this that I don’t have time to cover. It’s all in the book and I’d only finish by saying that I wish more people would take full diet breaks. It’s a concept that tends to be counterintuitive (how does going off a diet make it work better) but in my experience and with what the research says, it works. People tend to fixate on short-term results (as noted above they want to BE LEAN NOW) but for most applications, long-term adherence is far more important. In the big scheme of things, what is two weeks not losing fat if, not only does the break mean you lose fat MORE effectively (because you’ve normalized hormones) but you increase your odds of long-term success by not being so psychologically stressed all the time. That’s what the full diet break is all about.